Brand new for late 2011, the Klim Snow Gear series has gotten some major upgrades of existing products and some new additions to the lineup. Here, we will take a quick look at each of the new products and in a later post we will include our video reviews and detailed breakdowns. 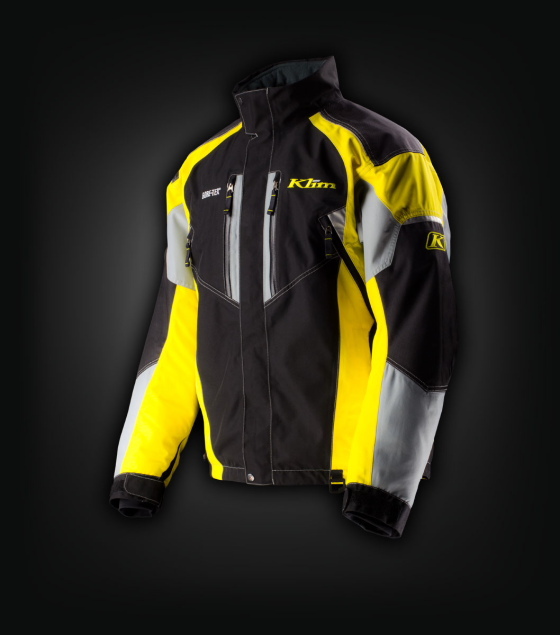 A brand new product for Fall 2011 is the Klim Storm Parka, built for serious boondocking, the enduro riding of the snowmobile world, where you're carving out your own paths off-trail. Designed with Gore-Tex two layer performance shell, Klim Storm Parka is completely waterproof breathable, guaranteed for life. Knowing the strenuous nature of boondocking, there are two vertical chest intakes, two vertical back exhausts, and huge pit zips that will keep the air flowing when the riding gets most intense. 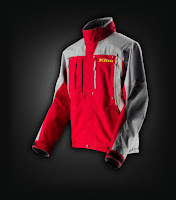 Pair this parka up with the Klim Storm Bib and you've got your boondocking needs covered for Winter 2011-2012. The Klim Tomahawk Parka has gotten a complete redesign for late 2011, and it is also designed for the boondockers among us. For this year's model, the ventilation system has gotten a redesign to be easier to operate when you need airflow on the fly. The pit zips are now gone, having been replaced by two large vertical chest intakes, and two large vertical exhaust vents at the back. The Gore-Tex two-layer performance shell remains in place, guaranteeing waterproofing and breathability for life, ensuring that you'll be kept dry and comfortable even when the boondocking gets turned to overdrive. With a certain improvement over its predecessor in both performance and style, the brand new Klim Tomahawk Parka is definitely a standout for late 2011. Matching up with the Tomahawk is the brand new Klim Extreme Bib, built for extreme boondocking with its Gore-Tex three-layer performance shell construction. Fully waterproof and windproof, with very high breathability qualities, the Klim Extreme Bibs also have 500D Cordura overlays and underlays for resistance to any and all abrasion. 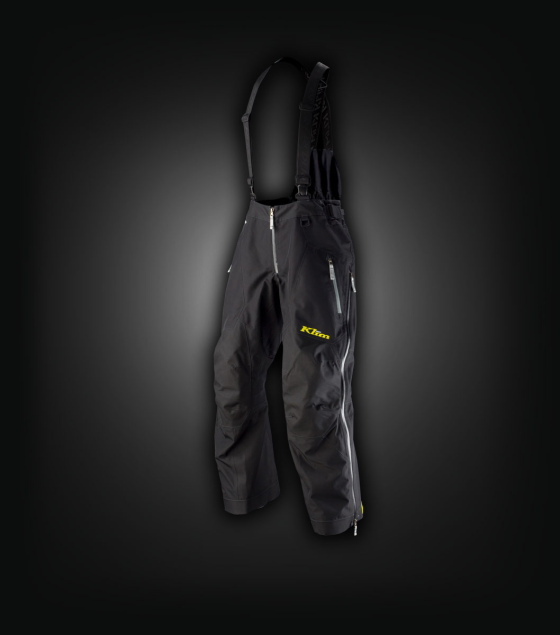 With its high yoke in the back, you're fully protected from powder entry, but the lower-waisted front enables full range of motion. The aggressive design is articulated for the most active riding position and double-zipper side entry allows a ton of ventilation when rides get to be their most trying. 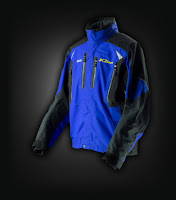 Pair the Klim Extreme Bib with the Klim Tomahawk Parka, and you're ready to boondock all day long. 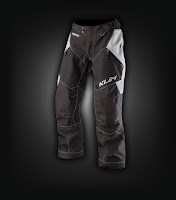 A member of the Steep category of Klim snow gear, within the "Free Ride" series indicating mobility, comfort and extreme athletic performance, the brand new Klim Free Ride Pant is here, built for backwoods ripping and tearing that knows no limit. 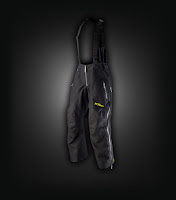 Utilizing Gore-Tex three-layer performance shell, the Klim Freeride Pants are guaranteed waterproof breathable for life. The Klim Free Ride Pants also have 500D Cordura overlays on the knees and at the boot area, with additional 500D Cordura underlays for a high level of abrasion resistance. 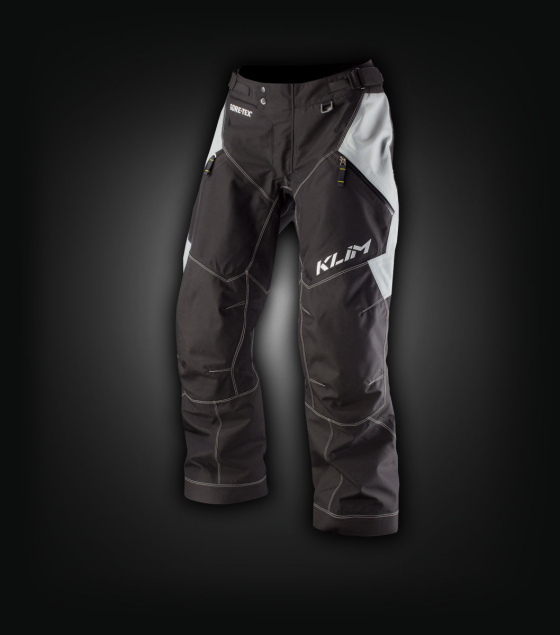 Equally at home bonking off trees or flying over drops, the Klim Free Ride Pant is sure to be a popular one this season. The Klim Kinetic Jacket and Klim Kinetic Pants are brand new for this season, designed for nothing but pure speed on the powder. 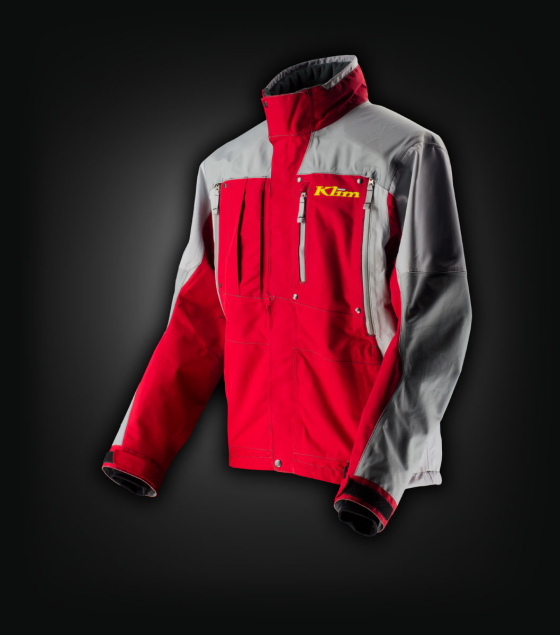 A member of the Podium Series within the Trail category of Klim snow gear, the Klim Kinetic jacket and pants combines snow racing design with free-riding toughness. Gore-Tex two-layer performance shell for waterproofing and breathability, 500D Cordura overlays and underlays, and 100g Thinsulate insulation are some of the defining characteristics of the Kinetic combo. This jacket oozes with speed and will be a great match for the snow rider looking to fly across the clearings and capture that podium. For the rider looking to take the concepts of the Kinetic combo to the next level, enter the Klim Vector Parka and Klim Vector Pants. Built for racers and the most aggressive speed riders, the Vector is a member of the Klim Speed Series for good reason. With ballistic nylon overlays sitting atop the Gore two-layer performance shell, the Vector keeps you protected from abrasions and mother nature. 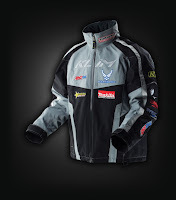 Knowing that you'll be flat-out flying in this combo, there is 200g Thinsulate throughout the jacket with Thinsulate zonal technology (strategic insulation thicknesses) in the pants. A brand new product for this season, we can almost guarantee that this will be a home run amongst snow riders that just want speeeeeed. Stay tuned for in-depth video breakdowns coming soon!